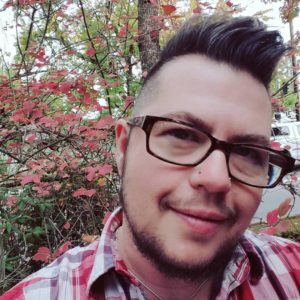 Richael Faithful JD, Certificate Polarity center and Shamanic Studies (they/them/theirs) is a boi multidisciplinary folk healer and healing justice worker. Richael’s practice is rooted in the Black diasporic healing tradition from the US, known as conjure. They are most skilled in ancestral energy healing, sacred drumming, divination, and ritual development. Faithful, along with their traditional healing practice, is a well-regarded writer, facilitator, creator, and occasional performer. They have always been passionate about community and social trends, focusing undergraduate and graduate studies on family, gender, and sexuality. They have been connected to the Network for a New Culture community (www.nfnc.org) since 2000, participating as an organizer since 2010, helping to bring gender to the forefront of New Culture dialogs. They offers regular training that focus on raising awareness in professional organizations regarding polyamory, gender, LGBTQIA concerns, diversity and inclusivity, and community. Oblio strives to weave together strengths from their communities into group processes that cultivate increased intimacy, depth, learning, and social change. 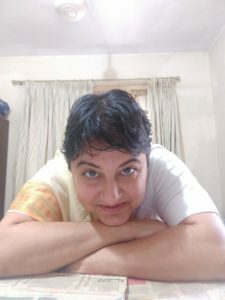 Leela Sinha, BA, MDiv, Reiki shinpiden level (she/her/they/them) is an intensive, and proud of it! They are a gender nonconforming speaker, trainer, and coach focusing on embracing and celebrating intensity. Their work emerged from a background in Unitarian Universalist ministry, bodywork, and coaching; the Sinha Intensive/Expansive Framework has applications in life, in love, and in organizational function and development. They have just moved to the Bay Area after ten years in Maine, and are working on their second book, Unbridled: Intensives in the Workplace. Their first book, You’re Not Too Much: Intensive Lives in an Expansive World, was published last summer and is available through Ingram and Amazon. They can be reached through Facebook, Twitter (@leelasinha), or email: leela@leelasinha.com. Rose Slam! Johnson (this one/that one) wants you to have fun. This connoisseur of play brings over a decade of experience as a counselor, director, and founder of camps for all ages. As adults, we’ve been trained to rein in our silly sides. The most vulnerable thing for us just might be to let loose and play a little. With Slam!, all you have to do is show up and join the game. 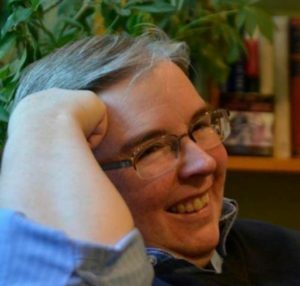 CB, M.Div, (they/them/theirs) is a white, middle-aged, fat, mostly able bodied genderqueer educator from western Massachusetts. They run Justice and Peace Consulting and provide trainings and workshops around anti-racism/anti-oppression/inclusion, institutional and group development, and comprehensive sexuality education for all bodies and all ages. Their alter ego is Auntie Butch, a poet, storyteller and stand up facilitator of adult storytime. Osprey (they/them/theirs) is a genderqueer song leader and music activist. Their song circles allow people to reconnect with the simple, yet powerful practice of making sound together. They write songs that are quirky, authentic, and fun to sing, with lyrics about pressing issues such as consent, gender identity, body image, and our relationship with the planet. The catchy tunes stay in your head for days, but it’s all good because they hint at answers that are relevant to now. Osprey has a band, called Osprey Flies The Nest, to help share their songs more widely. See ospreyfliesthenest.com for more info. 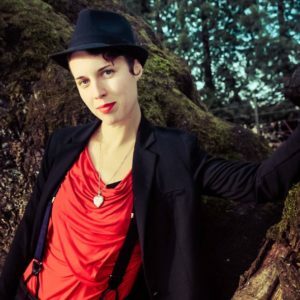 Kerri Mesner, PhD, (ze, hir, hirs) is an educator, a queer theologian, a theatre performer and an activist. 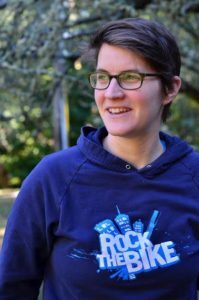 Kerri’s writes, teaches, and performs around topics like gender and sexual diversity in education, trans and gender nonconforming identities, arts-based educational research, contemplative educational practices, and anti-oppressive approaches to education. Kerri brings a background in theology, professional musical theatre, and queer activism to hir current work. 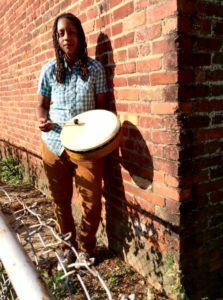 Shana Deane (She/Her/Hers & They/Them/Theirs) is a long time Network for New Culture summer camper and organizer, passionate about bringing a restorative and generative lens to our lives and life cycles. 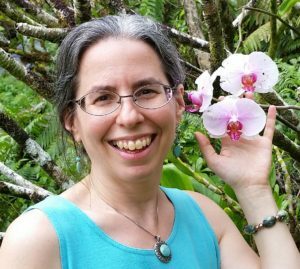 She’s been an End-of-Life Doula since 2007, a Scholar in “Griefwalker” Stephen Jenkinson’s Orphan Wisdom School since 2011, as well as being in private practice as a mediator, counselor, and teacher and facilitator of nonviolent communication, restorative circles and Zegg Forum. She’s currently at work on a documentary about her mother’s death and dying from pancreatic cancer and the transformative experience of giving her her funeral before she died. Shana is humbly honored to be part of making a place for grief at Gender Camp.